Given a particle emission, how do you make a null (or some other 3d object, for that matter) follow a specific particle? 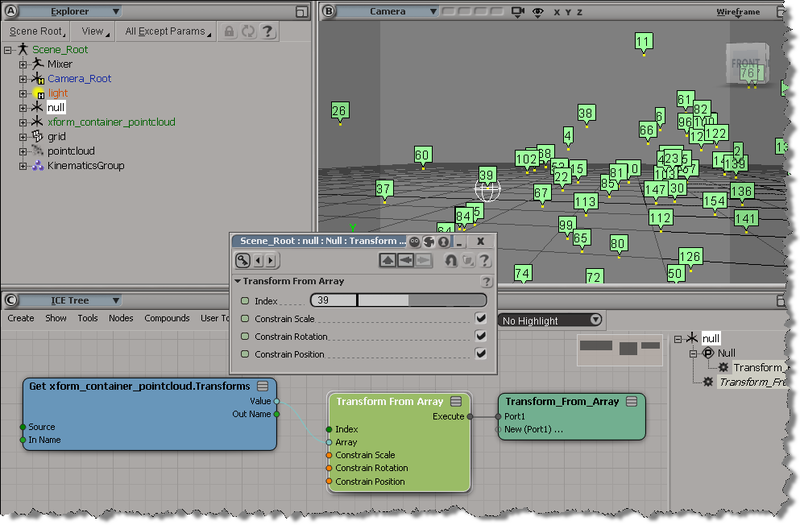 In the ICE toolbar, click Kinematics > Effects > Transform Objects by Particles. The null is now constrained to particle 0. There’s an ICETree on the null where you can change the particle index, to constrain the null to a particle with a different ID. For a more detailed, low-level look into this, see the video ICE Kine – Drive from particles by Eric T.
This entry was posted in ICE and tagged constraints, ICE, Softimage by xsisupport. Bookmark the permalink.